When the short leg of the National Road Relays course, used since 2001, was not available BMAF had to revert back to the original 5.08km course, reflecting in the slower times. A cold Easterly wind and continuous rain, preferred by some of those who had run the London marathon in 24° the previous week, did not help either. Race Referee, Archie Jenkins, wisely split-started the age category races ensuring a smooth get away for all when the Women and the M75 set off at 10.30. First to crest the famous hill was W35 Rotherham Harrier Sarah Lowery, over a minute clear in 18.27sec, from Amanda Wrightsmith, Birchfield H, some 6sec ahead of J Etherington for Sunderland H and Tracy Hinxman for Derby AC. The Northern Club was to retain pole position throughout the four stages to win by 2½ minute in 1.15.59 from the Derby AC’s quartet and defending champions South London Harriers. The fastest stage however went to Lisa Palmer-Blount who took Derby from 4th to 2nd in exactly 18.00 on the final leg. Dulwich Runners also got a good start in the W45 race when Clare Elms stormed home in 18.50sec, a time bettered only by Maria Heslop running the penultimate leg for Tonbridge in 18.36sec. Michelle Clarke followed in for Telford AC and BMAF W45 Cross-Country champion, Kathryn Bailey, sent Winchester & District off in 3rd place. Samantha Parkinson moved them up to 2nd and Karen Rushton took them to victory over Tonbridge AC and Dulwich. The City of Norwich also lead from start to finish after W55 Jane Clarke ran the fastest overall leg on the first stage in 20.48sec. Lynne Higgins, Wolds Veteran Running Club and Holmfirth Harriers Lesley Ewart, followed in. Gwen Kinloch, running the second fastest leg, helped Burnden Road Runners to silver medals again from Holmfirth. An encouraging seven teams entered the W65 race this year but it was Westbury Harriers, whose team included hardy perennials Pat Gallagher and Marilyn Palmer, that raced to a four minute victory as Shirley Hume on the second leg had the second fastest time. Fastest stage however by almost a minute came from Elizabeth Bowers, Worcester AC, setting the Midland Club off to silver medal position from last year’s runner-up Hastings Runners who were beset by injury problems and had to settle for bronze. Barbara Brown from the 2017 title holders, Wolds Veterans, finished 2nd on the first lap only to find the rest of the team had not arrived. The M75 ran with the W55+ women. Good to see an A and B team come all the way up from Exmouth in the conditions ready for the 10.30 start. Ray Elston got them away in the lead on the first of the three stages, but John Gosscustard stood no change of striking gold when Mike Smith set off for defending Bingley H and the fastest leg runner, Les Haynes, sealed it with a 22.54sec circuit for Bingley. The bronze medals went to the Sevenoaks trio of Ronald Denney, Richard Pitcairn-Knowles and James Fitzmaurice. Tipton Harrier, Stuart Hawkes led this strong field home on the first circuit in 15.43sec, which was to remain the second fastest stage of the day, from the local Birmingham Running & Triathlon Club’s Dan Robinson, 15.53sec; Salford’s Bruno Lima, 16.06sec, Michael Burrett setting Leeds City AC off in 4th in 16.27sec, and Oliver Herradence, Royal Sutton Coalfield AC 5th 16.31sec. The wind dropped slightly and positions changed on this 6-stage race. James Kovacs moved Salford Harriers up to 2nd on lap 2, Chris Livesey circling in 16.23sec took them up to pole position on the third lap, which they were to retain as Carl Hardman on stage 5 ran the fastest overall in 15.19sec. Philip Tedd took THH from 4th to silver medallist on the final lap in 16.33sec. Karl Welborn retained Tipton’s grip for the bronze medals. 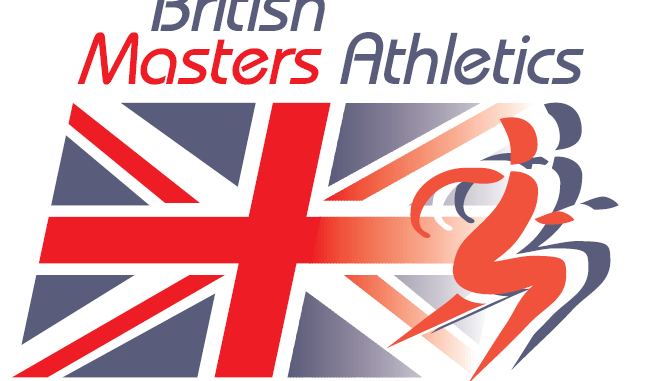 Coming just a week after the London marathon and the National Senior relays there two weeks earlier, 35 Clubs found it difficult to muster a 6-man team. North Herts RR Club were prominent but lacked their final runner. The opening lap of the M45 race was a closer duel as BMAF Cross-Country Champion Simon Baines (16.35sec) gave Thames Hare & Hounds a metre start over Preston Harriers Robert Affleck (16.38), Paul Green in Sale Harriers colours (16.57) and Salford H again through Ian Grime (16.58). Mark Johnson had a storming run on stage 2 to take Leicester Coritanian from 5th to leader, a position held by Gareth Deacon before they slipped back on the final stage four to finish 6th. Meanwhile, Cambuslang had kept their big guns for the final three stages with Justin Carter taking them from 19th to 13th, Kerry-Liam Wilson handed over in 4th place to Stevie Wylie who held on for a Scottish victory. Salford, never lower than 4th, were runners up as Ben Reynolds pulled THH up to bronze medals. There was no doubting the fastest lap prize going to Mark Johnson, from Baines and Affleck. 41 teams closed in and two were DQ-d.
Tony Tuohy gave Dulwich Runners a great start from Southern Clubs, South London Harriers, Tonbridge and Herne Hill Harriers also in the frame for the M55 title. SLH had the top steeplechaser, Andy Tindell and HHH had Gary Ironmonger lined up for the 3rd and final circuit. Tindell took over in the lead from Gordon Hennessy as Brian Hughes had brought Cambuslang up to 2nd. Ironmonger clocked 17.41 but could not make inroads on his London neighbour SLH as Tindell ran a superb 17.28sec for victory and the fastest leg overall. Cambuslang Harriers made their long trip worthwhile with another set of medals and Warrington AC just missed out in 4th. Top Officials are often heard to remark that you can change the nature of a course but it is always the same endurance runners who finish in the top positions, and so it is with the Oxford City AC’s trio, Stewart Thorp, Roy Treadwell and John Exley who ran out M65 BMAF champions yet again over a tougher course from the 17 starter teams. Blackheath & Bromley and Salford Harriers went on to take silver and bronze. It was a great pity that Cambuslang, Sheffield and Southampton were not able to field a full team in a very closely contested race. Stan Owen, Salford (19.47), Frank Hurley Cambuslang (19.48), BMAF Treasurer David Oxland, Notts AC (20.00) and Desmond Michael Barnet AC (20.07) shared the fastest finishers times.